A leading senator is asking whether the Obama administration has violated its own economic sanctions on Iran by permitting Iranian students to study fields such as nuclear engineering at U.S. universities, despite laws in place that bar citizens of the Islamic Republic from engaging in coursework meant to prepare them for work in the country’s energy sector, according to a letter sent Monday to the State Department and obtained by the Washington Free Beacon. 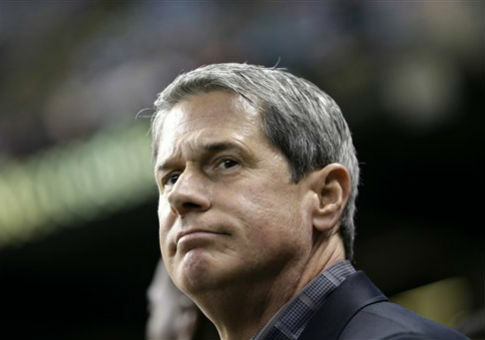 Sen. David Vitter (R., La.) is calling on the State Department to investigate a controversial policy of permitting foreign students, particularly Iranians, to continue studying nuclear-related fields at U.S. schools, according to the letter. Vitter’s letter follows a controversial decision by the University of Massachusetts, Amherst to continue accepting Iranian students into its nuclear engineering programs despite questions about the legality of this practice. UMass Amherst barred Iranian students from these fields in February, but quickly reversed the decision under pressure from pro-Tehran activist groups. "I am deeply concerned over recent reports that the Department of State is attempting to circumvent existing U.S. law to place Universities into the unnecessary position of deciding whether or not to allow students from countries we currently have economic sanctions against—Iran in particular—to pursue specifically restricted material," Vitter writes to Steve Linick, the State Department’s inspector general. "Inappropriately, the State Department wants to allow Iranian students to study nuclear engineering, among other programs at U.S. universities, even though our U.S. sanctions on Iran are due to Iran’s threat of developing nuclear weapons," he writes. Vitter is requesting that Linick launch an investigation into the policy and report to Congress on the subject of whether the administration is violating its own sanctions. "In the interest of our national security, as the State Department’s Inspector General, request that you investigate the State Department’s position on Iranian students in sensitive fields of study and what guidance they are giving academic institutions and report back to Congress," the letter states. "The Department of State absolutely should not be putting our educators in a position of deciding what constitutes a danger to the national security of the United States. That is the Administration’s job." UMass Amherst reversed the ban following a pressure campaign and assurances from the State Department that its admissions policy comported with the law. However, Vitter argues that the Obama administration is intentionally misinterpreting the law in order to relax certain bans on Iranian students. "Specifically, the State Department has seemingly changed its interpretation of Section 501 of the Iran Threat Reduction and Syria Human Rights Act of 2012," he writes. "I believe that is not only a security threat; it goes against our current sanctions, and it’s unfair to our academic institutions." The law requires the State Department and Department on Homeland Security (DHS) to decline any student visa and access to any person "who is a citizen of Iran and is applying to participate in coursework at an institution of higher education to prepare for a career in the energy sector of Iran or in nuclear science or nuclear engineering or a related field in Iran," according to Vitter’s letter. The burden should not be placed on U.S. academic institutions to appropriately determine and interpret the law, Vitter says. "I strongly oppose the actions by the State Department to shift responsibility onto independent universities or to reinterpret the law away from its obvious intent," he writes. "To put it frankly, we’re still at war with terrorist organizations and we still need strong economic sanctions on Iran until they comply with nuclear nonproliferation agreements and stop their support of terrorism." The Obama administration employed a stricter reading of the law as recently as 2013, when it stated in a "Note from the Department of State" that the Iran sanctions laws prohibit visas to any Iranian student applying to study nuclear science in America. That note also barred Iranian students from studying other fields, such as business and management, if they intended to use these skills to work in Iran’s oil, natural gas, or nuclear energy sectors, according to relevant passages of the note excerpted by Vitter. Vitter is requesting clarification of the administration’s position with regard to the law and is seeking to learn the justification it gave to UMass Amherst in permitting it to continue accepting Iranians students into nuclear-related graduate programs. He also is seeking a complete list of all U.S. institutions currently permitting Iranian students into "business, management or computer science, nuclear science or engineering, or any other field that could be used to benefit Iran’s oil, natural gas or nuclear energy sectors," according to the letter. This entry was posted in National Security and tagged David Vitter, Iran, Nuclear Weapons, State Department, University. Bookmark the permalink.